Free download Ashampoo Slideshow Studio HD Latest Version.Turn your photos into a cinematic experience with smooth zooms and tracking shots, apply fully animated slide transitions and create vibrant full HD videos with ease. 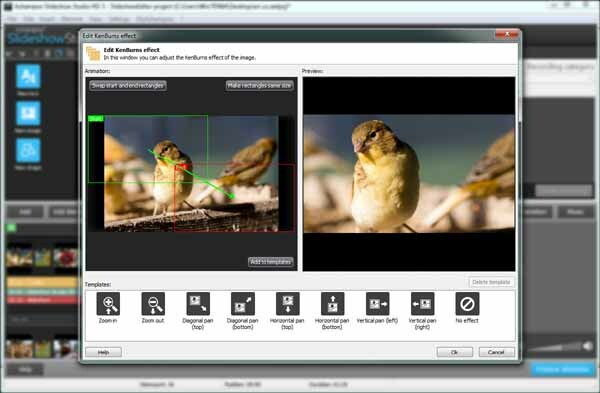 Apart from a polished look, Ashampoo Slideshow Studio HD 3 contains several user interface enhancements that will have you work smarter and faster. This includes improved object management, customizable default timeline and subtitle styles, adjustable movement directions for credits, automatic normalization for audio tracks and auto-fading for the opening and closing music. For added comfort, Ashampoo Slideshow Studio HD 3 also lets you use any existing EXIF metadata in your images to auto-insert filename, size or date information so you don’t have to add them manually. Record your own voice and add your thoughts and ideas to individual slides or all of them. Ashampoo Slideshow Studio HD 3 records sound from any registered Windows recording device (including “WhatUHear” and “Stereomix” if supported by your sound card driver).